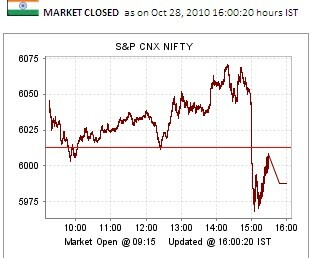 Equity Markets closed on bad note by the end of day , today being expiry in F&O was bit amused at the lightening speed by which market changed direction from Green to Red in mater of few mins. 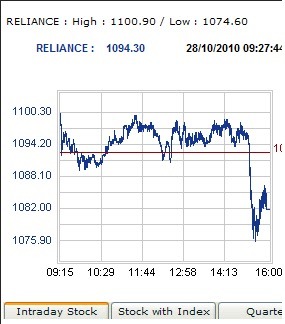 And this is what happened at Reliance Counter at around the same time. 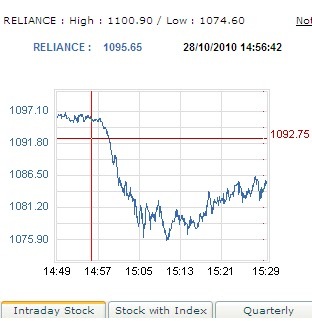 A More Detailed look at the time span and the Volume in Nifty .See the Slide in Nifty started from 2.55 pm. 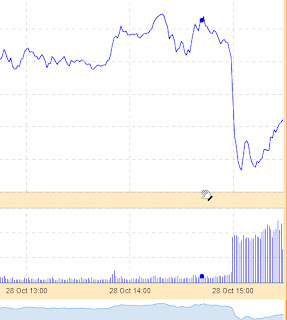 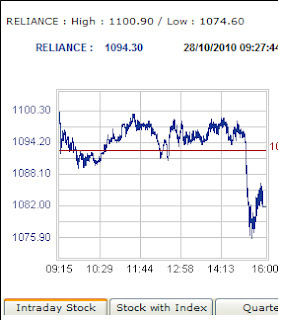 Here is what happened at the reliance counter at the same time around 2.55 pm , Infact its the other way round , since this slide happened at the reliance counter i believe entire market went into some sort of panic mode for few mins. Its obvious since of the all 50 stocks in Nifty50 reliance stock having maximum weightage in Nifty we can expect this sort of correlation . 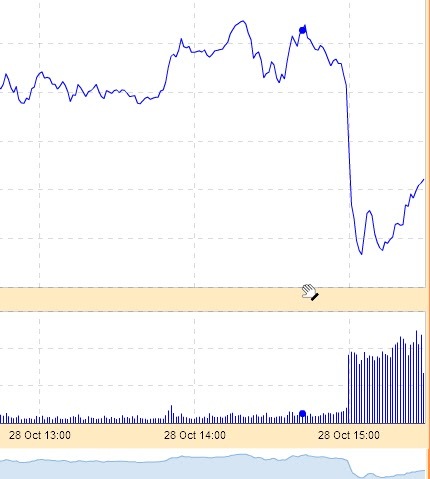 It only amused me cause being today a expiry day and market tanked in few mins made me to believe that market participants are trading more in heavily traded and large cap companies.